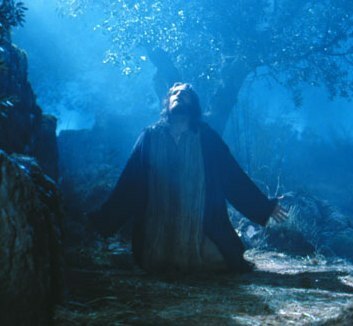 Jesus, praying in the Garden of Olives, begged God to release him from the terrible future that awaited him. But then, strengthened by prayer, he accepted his fate and faced the soldiers who came to arrest him. Jesus and his most trusted disciples had just completed the meal we call the Last Supper, where he told them that one of their tight-knit group would betray him to the authorities, and that he would be killed. Now they moved away towards the Garden of Gethsemane. A large olive grove This olive orchard was part of an estate at the foot of the Mount of Olives. 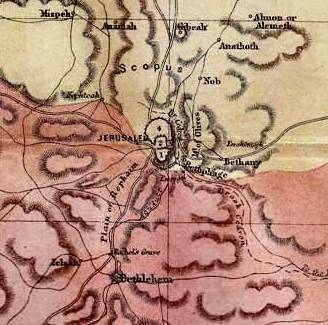 It was bordered by the road coming up from the Kidron Valley, and was probably surrounded by a stone wall. It seems to have been open to the public and at Passover time it provided welcome relief from the crowded city. Jesus and his disciples gathered there, as they must have done many times before. Their mood was sombre. They were frightened – for Jesus and for themselves. 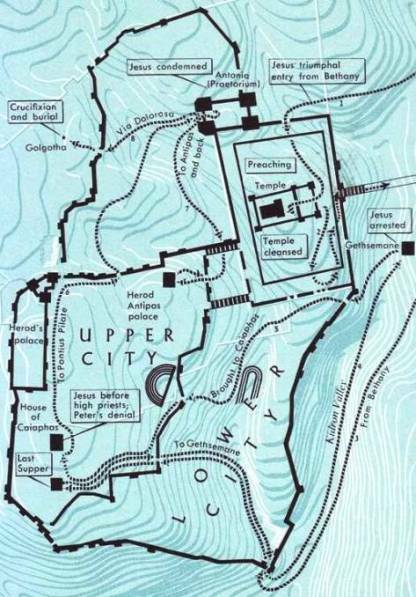 Gethsemane is in the middle right of the map above, which shows a possible route to Calvary. 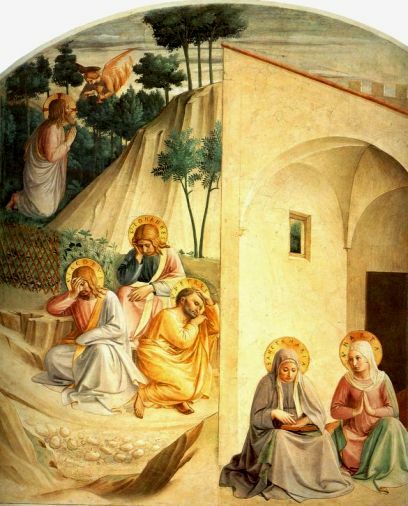 When they got to the olive garden, a familiar retreat, Jesus took Peter, James and John and moved further up the hill, away from the larger group of disciples. Alone with his three closest friends, he let his feelings show. He was horribly aware of what was to come – he had seen other men tortured and crucified, and he staggered with shuddering horror at what lay ahead. He was ‘sorrowful, even unto death’. This was the crucial moment, the time of testing. All he had to do was walk out of the garden and take the road up the hill, over the Mount of Olives and out into the desert to the east. He could hide there, and quietly make his way north to Galilee, where he would be relatively safe. Would he stay in Jerusalem and endure a dreadful death, or would he slip away? Jesus walked a little way further into the garden and began to pray. He fell on his knees – most people at that time stood to pray – and asked God to spare him, if it was possible. If God willed it. Then he went back to his three friends. What is special about Jesus’ prayer? At this terrible moment, Jesus turned to God in prayer: ultimately he was focused on God, and if this led to his death, so be it. A note on the Angel: the evangelist Luke often uses angels to transmit a message from God or to provide assistance; in this case the angel helps Jesus to endure his mental agony by strengthening him for battle, giving him the resolve he needs. A note on Jesus’ words in the Garden: if he was alone, how do we know what he said? In the ancient world, people usually prayed aloud. Someone who was in the olive garden at that time – though not the sleeping disciples – must have heard and remembered Jesus’ words or prayer. Jesus and the disciples would certainly not have had the garden to themselves. Emotionally exhausted, Jesus turned to his disciples, the very ones who had been so adamant at the Last Supper that they would stand by him. They had fallen asleep. He reproached them. In this terrible moment of mental agony, couldn’t they even stay awake? He urged them, instead of sleeping, to pray. Surely they knew how he needed their support? Surely they ought to be praying for strength for themselves, if not for him? Then he moved back up the hill and began to pray again, alone. When he returned, they were sleeping again. When he reproached them for failing him (and themselves) a third time, they had no answer. In this crucial moment they were failures, unable to pull themselves out of their sleepy stupor. They seemed oblivious to his suffering – overcome with the Passover meal, the wine, and the late hour. The weakness of the flesh should never be underestimated. 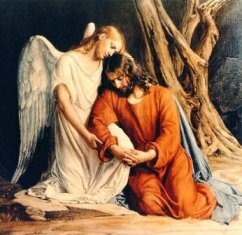 As he prayed, an ‘angel’ had come to him, giving him strength. Only this, God’s direct response, can account for the transformation that follows. He had been terrified of the future and had prayed. Now in the final moments in the garden, he was suddenly strong, resolute. He had asked God to save him from death. God’s strengthening angel has responded, giving him courage to face what was coming. Jesus turned his face resolutely towards the crowd of soldiers moving towards him through the darkness. ‘Rise, let us be going’ he said to his frightened friends. Strengthened by prayer, Jesus stepped forward to meet his fate. In the story of Adam and Eve, rebellion brought Death. In another garden, Gethsemane, submission to God’s will brought Life to Jesus’ followers. 40 And again he came and found them sleeping, for their eyes were very heavy; and they did not know what to answer him. 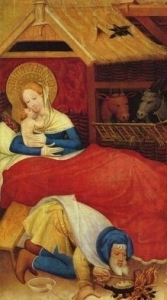 41 And he came the third time, and said to them, “Are you still sleeping and taking your rest? It is enough; the hour has come; the Son of man is betrayed into the hands of sinners. 45 Then he came to the disciples and said to them, “Are you still sleeping and taking your rest? Behold, the hour is at hand, and the Son of man is betrayed into the hands of sinners. 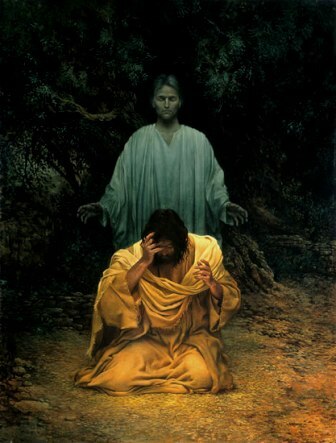 41 And he withdrew from them about a stone’s throw, and knelt down and prayed, 42 “Father, if thou art willing, remove this cup from me; nevertheless not my will, but thine, be done.” 43 Then an angel from heaven appeared to him and gave him strength. 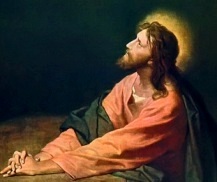 44 In his anguish he prayed more earnestly, and his sweat became like great drops of blood falling down on the ground.